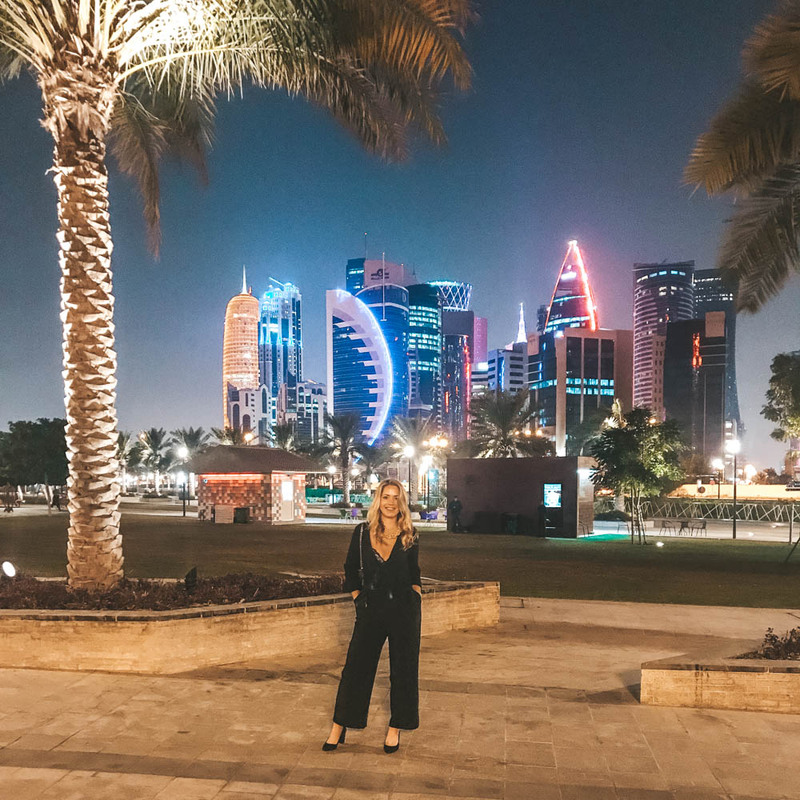 I get many questions from your readers what to see and do in Doha, Qatar since you start to notice my travel blog and figure out that I have been living here. 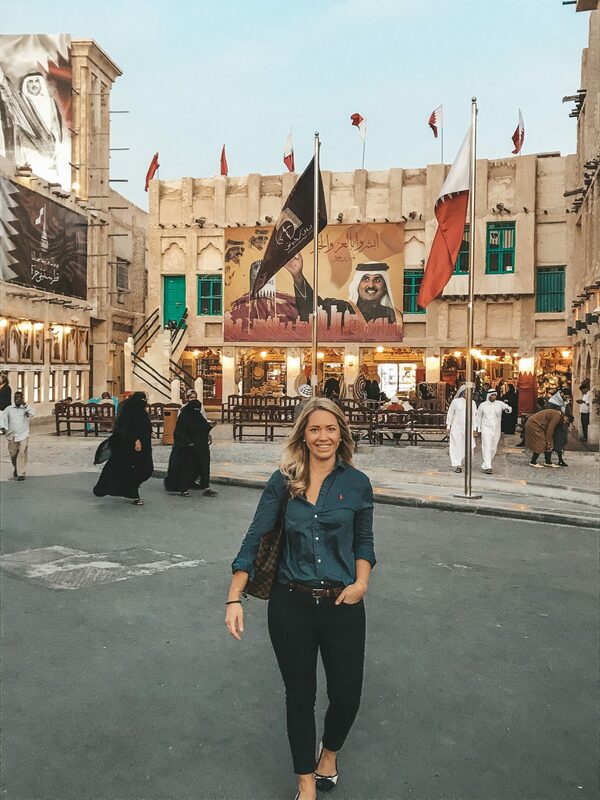 Few years ago I wrote this travel guide to Doha in this blog post, but now I have writing a new but smaller travel guide to Doha that is updated! 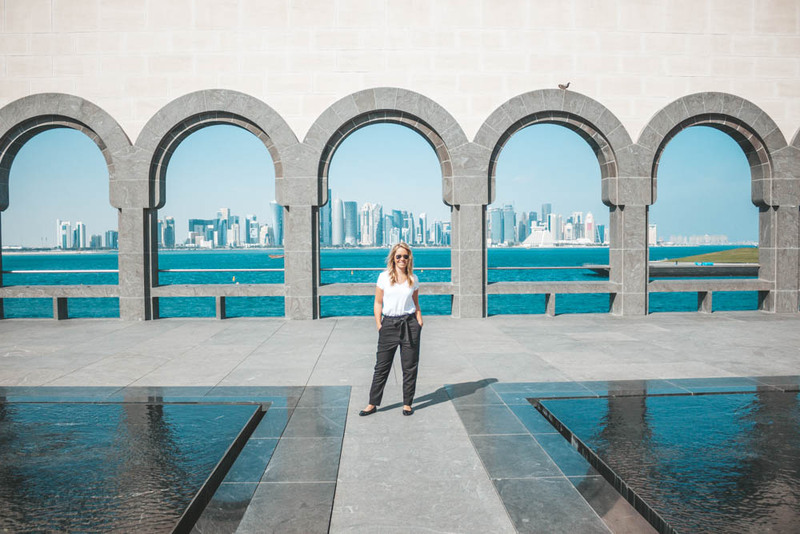 Here you will find what Doha, Qatar has to offer and what I recommend to see and do as a tourist for a day here! 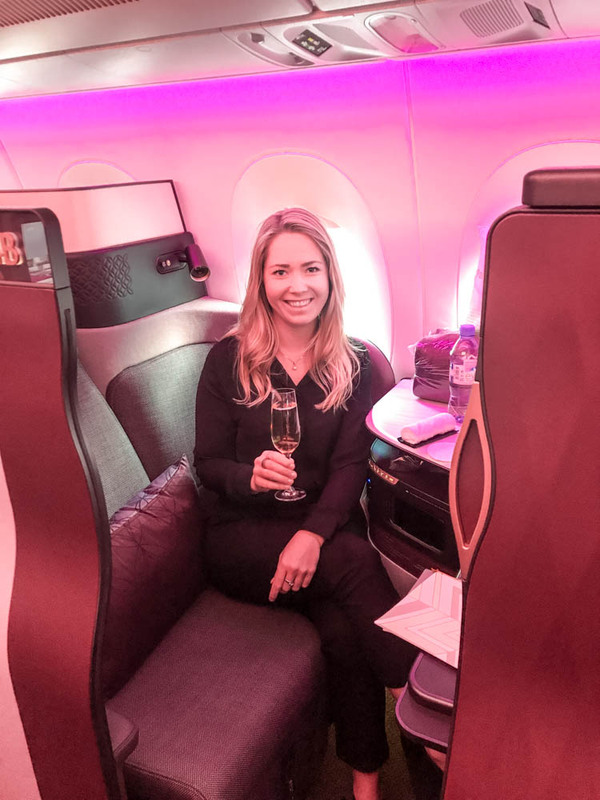 If you fly with the airline Qatar Airways, which I written a lot of flight reviews about (that you can read here), you might get a half day stop that you don’t want to spend at Doha airport called Hamad International Airport. 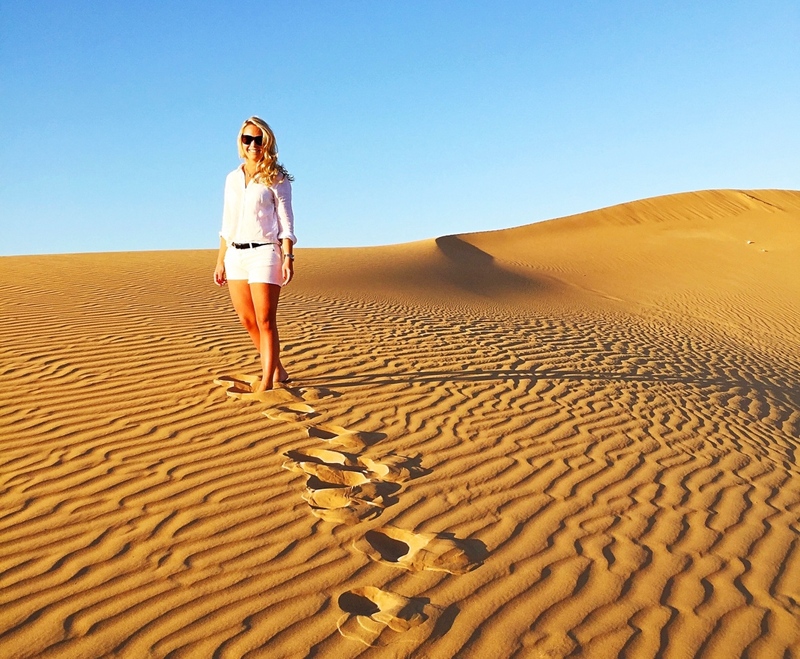 Instead, you can now enter Qatar with a free visa and stay there for up to 30 days. 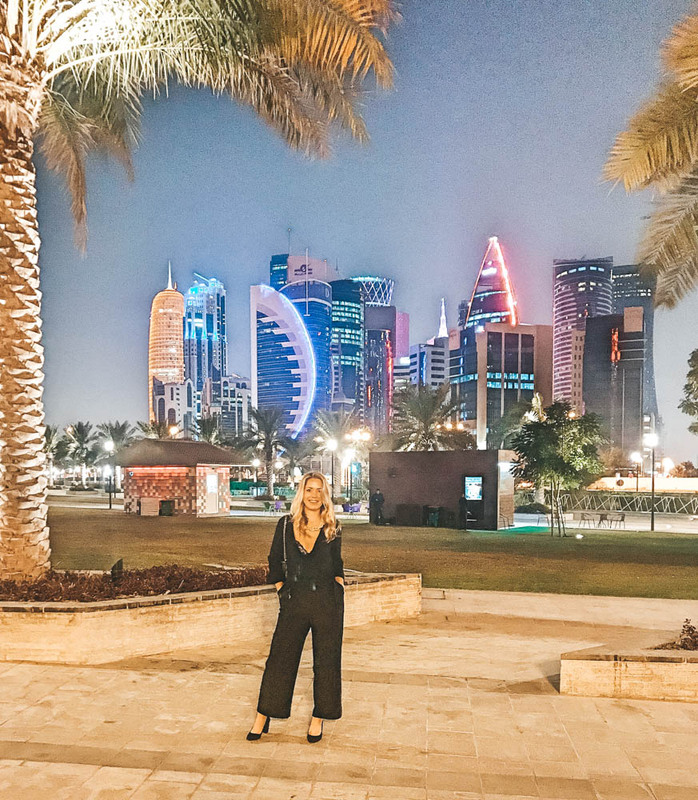 You might land in the morning and have a connecting flight later in the evening, then I strongly recommend to visit Doha City! 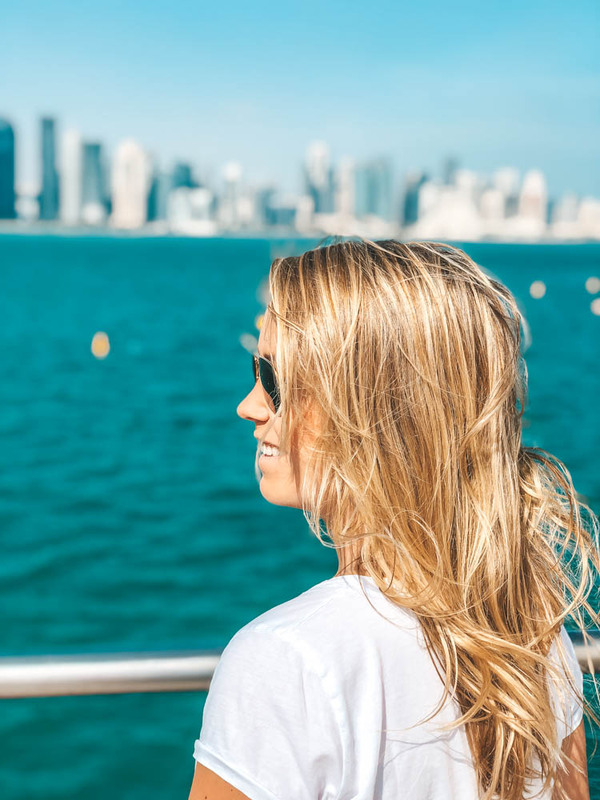 The easiest way to get anywhere in Doha is by taxi, as well from the airport into Doha city. 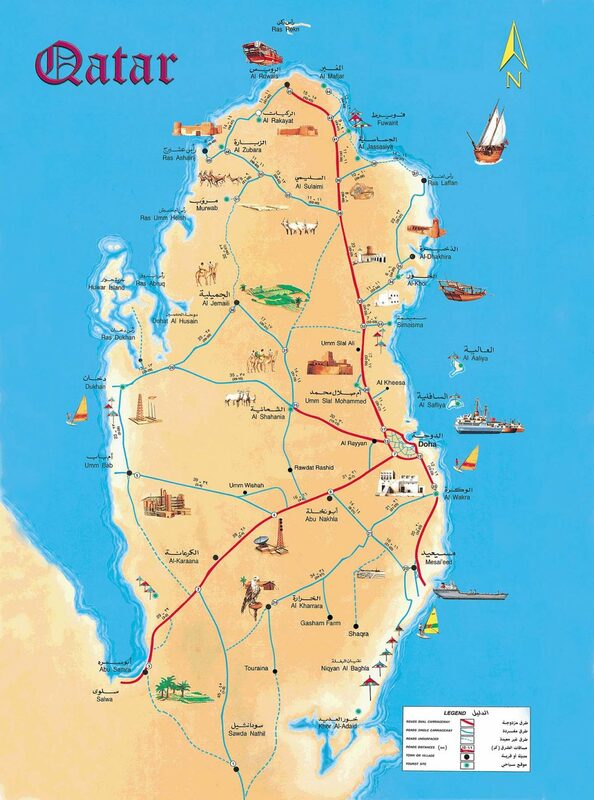 There is no train that goes from the airport into town but don’t worry, taxis are very cheap in Doha. 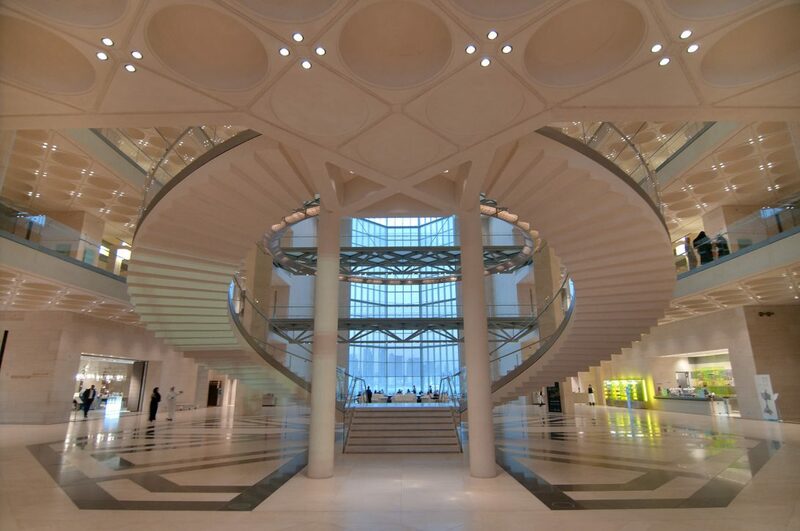 It cost about 35-40 rial to go from Doha Airport to Doha city, which is about 5 – 6 Euro. If you go by taxi within Doha city from one place to another it won’t cost more than 10 rials, ie about 1 Euro. 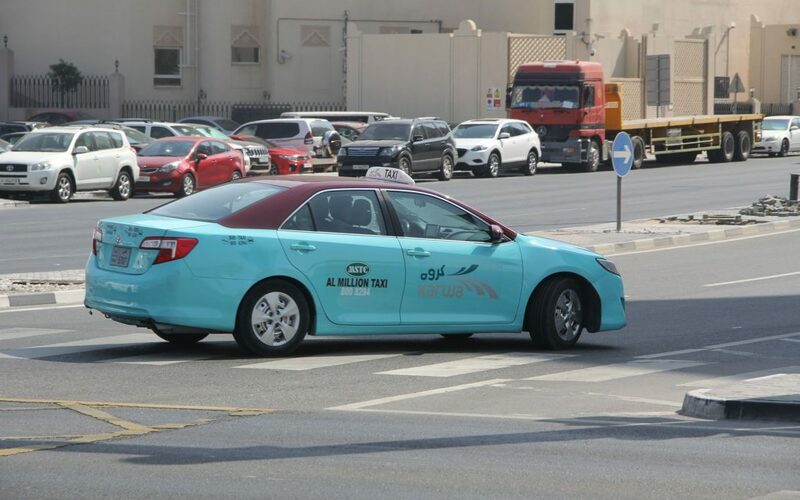 Here’s a picture of how the taxis looks like in Doha and they are called Karwa taxi. 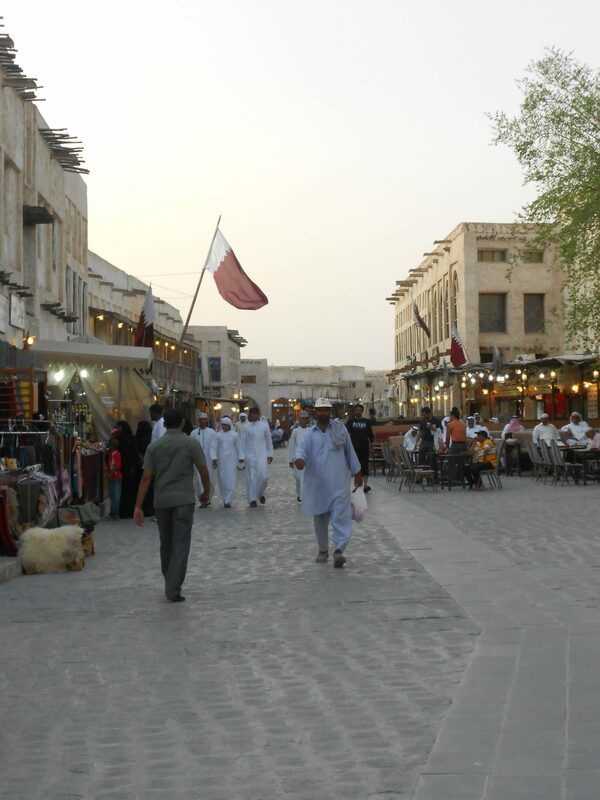 What can be good to know is that Doha is not a city you walk in, here you go by taxi everywhere. 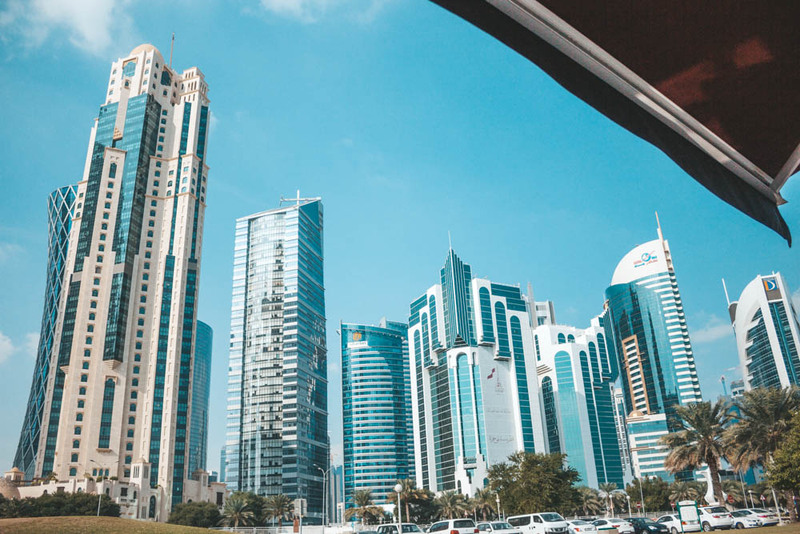 It is hardly possible to walk by foot, because there are no sidewalks, except on the corniche that lies along the water and where you can look over all the skyscrapers. That is the only place you can walk / cycle / run on if you want but otherwise there are no sidewalks anywhere in the city – you always go by taxi! 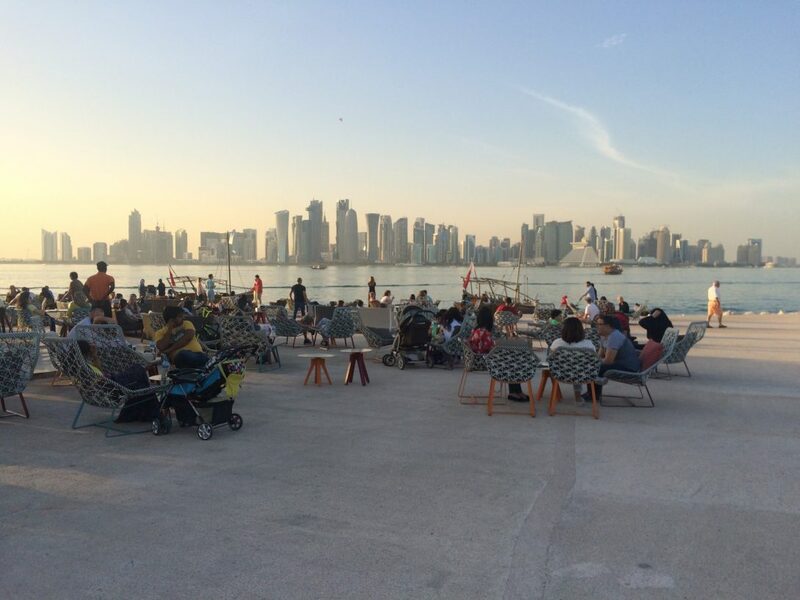 When we still talk about the corniche, it is definitely the most worth thing to see in Doha and is called Doha Corniche. 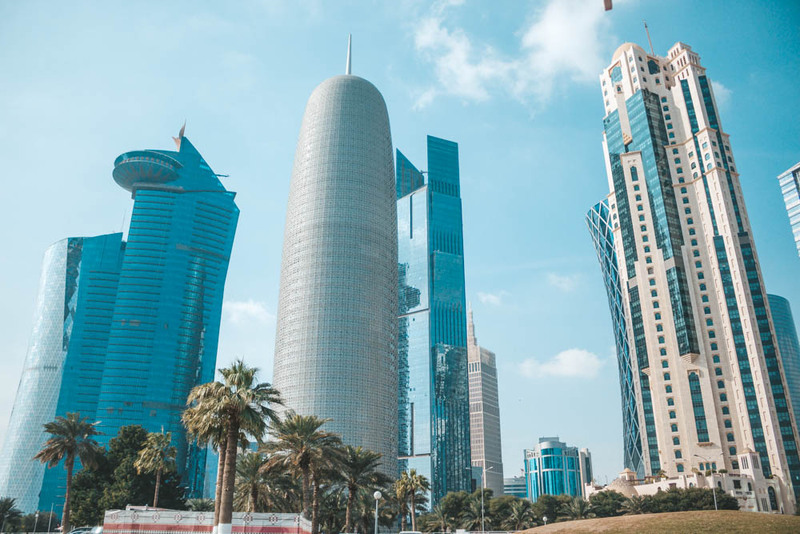 The Corniche is 7 kilometers long and is shaped like a horseshoe surrounded by skyscrapers, hotels and cafes. Here I recommend to stop by, there are plenty of parking spaces and if you don’t rent a car I would ask the taxi driver to wait a while. 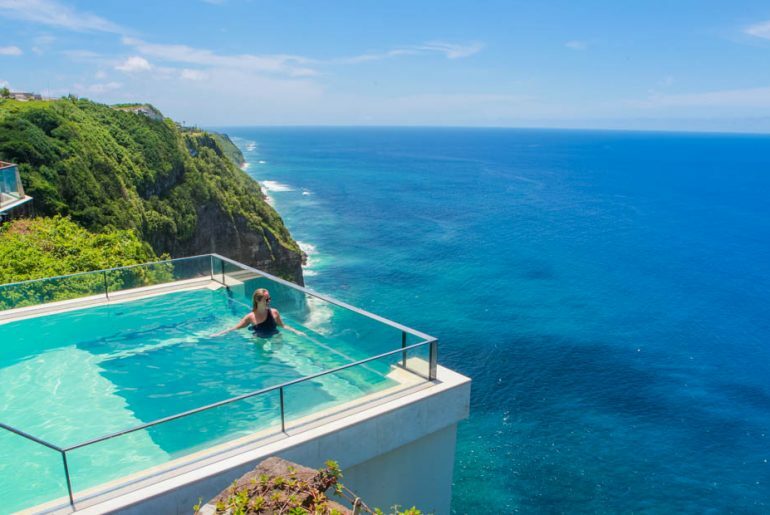 It is possible to grab taxis from there as well, but it can be a bit clever, but you can definitely do it. 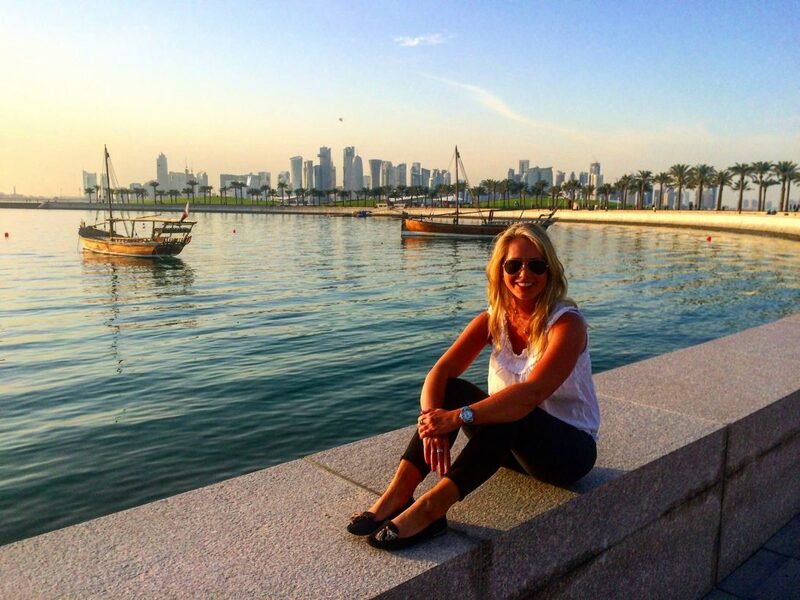 If you are in Doha around spring, autumn or winter, I recommend walking along the Doha Corniche. There are cafes and benches to rest on if you want to take a break. At the beginning and end of the corniche there is also parks with some play area for kids, where the children can play for a while, for those who travel with children. 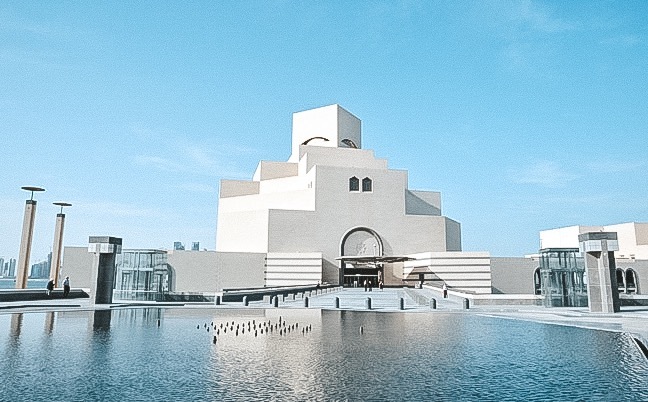 Just at the beginning of the Doha Corniche there is Doha’s most famous museum, MIA (Museum of islamic art). You don’t have to walk around the exhibition itself if you don’t want to and of course are interested in culture, but please take the time to go here and see how it looks inside the walls. 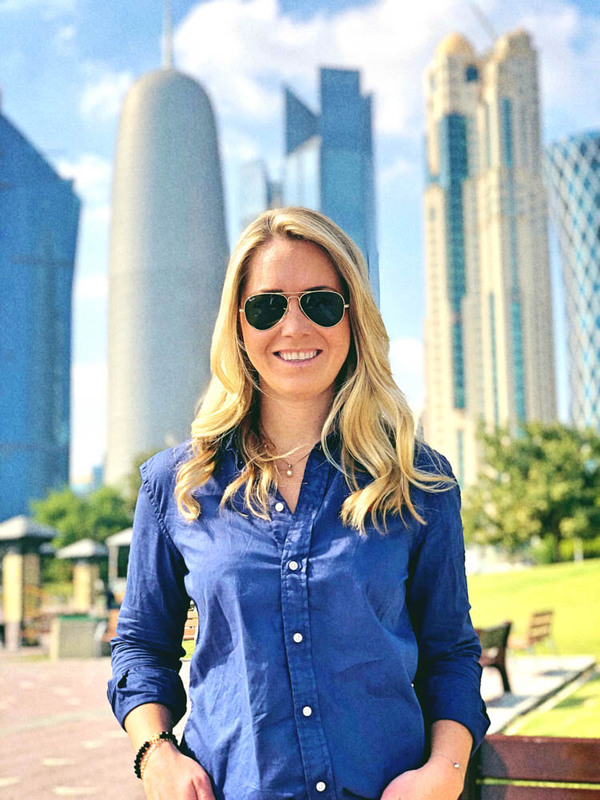 If nothing else you will get a really cool view of the Doha skyline from here! 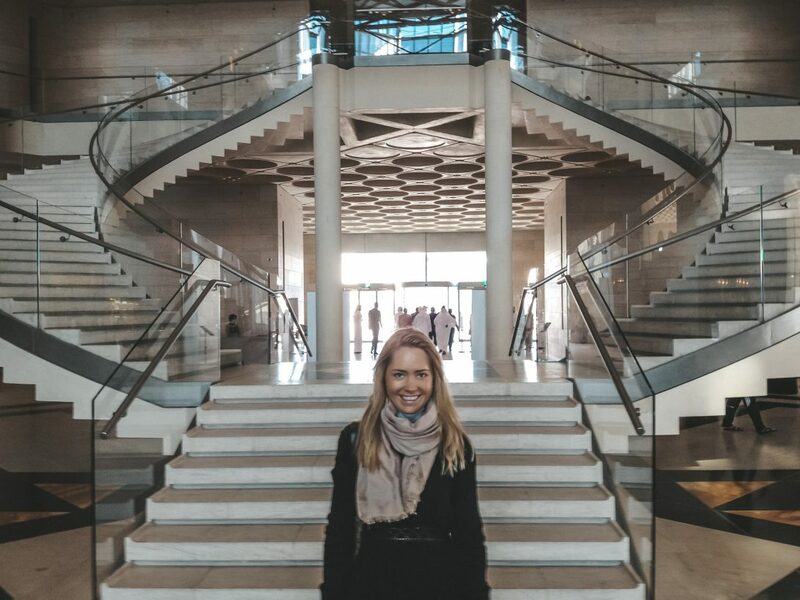 These pictures are taken from the Museum of Islamic Art in Doha, Qatar. 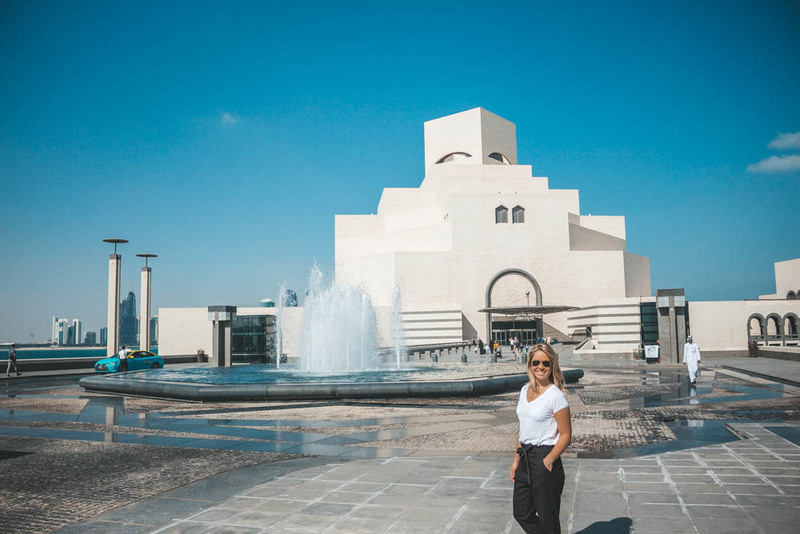 Opposite the MIA Museum in Doha, a National Museum is being built for the purpose of opening in December 2018 but has being postponed until March 2019. 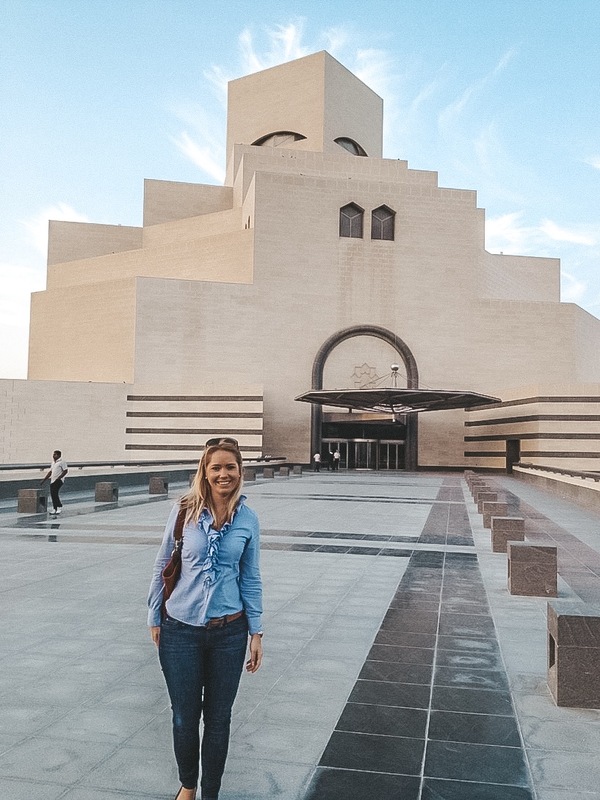 If you are lucky, it is open when you are in Doha 🙂 It is a huge and nice building you will pass by when driving around, so I can imagine that it will be very nice inside the doors when they open! 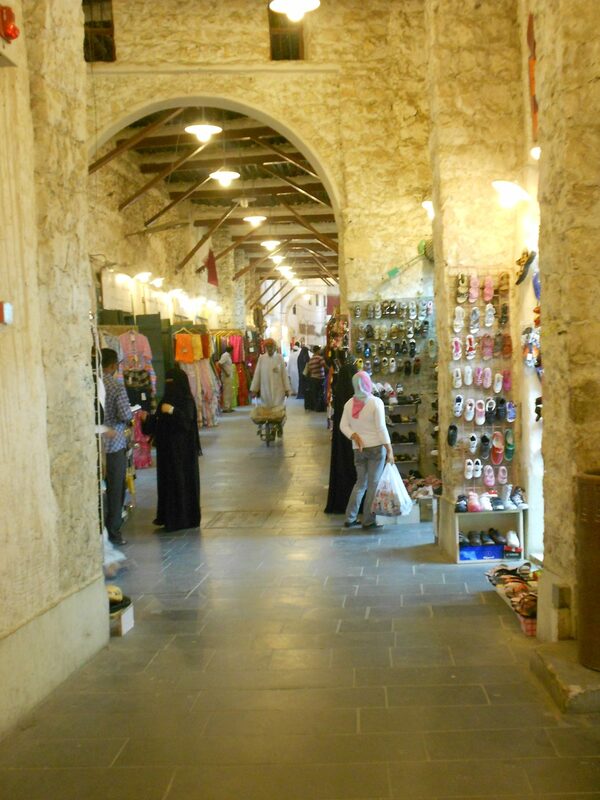 Opposite the Museum of Islamic Art you will find the Doha Souk called Souq Waqif. 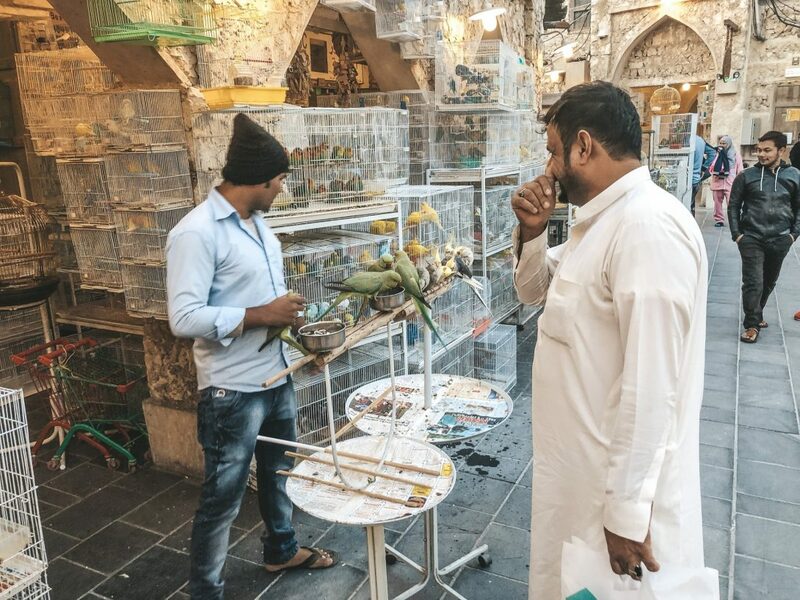 From MIA you can go down to the corniche and from there take a crossing over to the other side of the street where Souq Waqif is located. 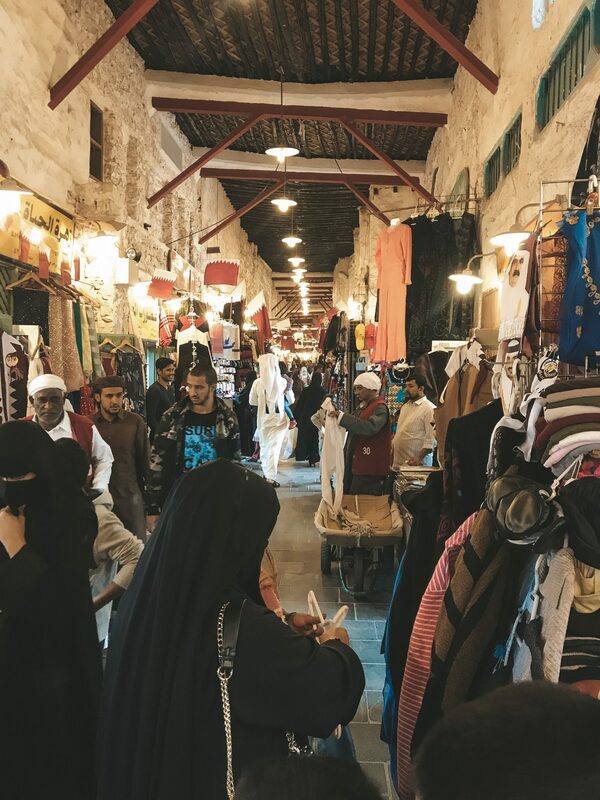 The traffic here is a bit scary if I’m going to be honest and if you want to be on the safe side, take a taxi from MIA to Souq Waqif, something I really recommend to do. 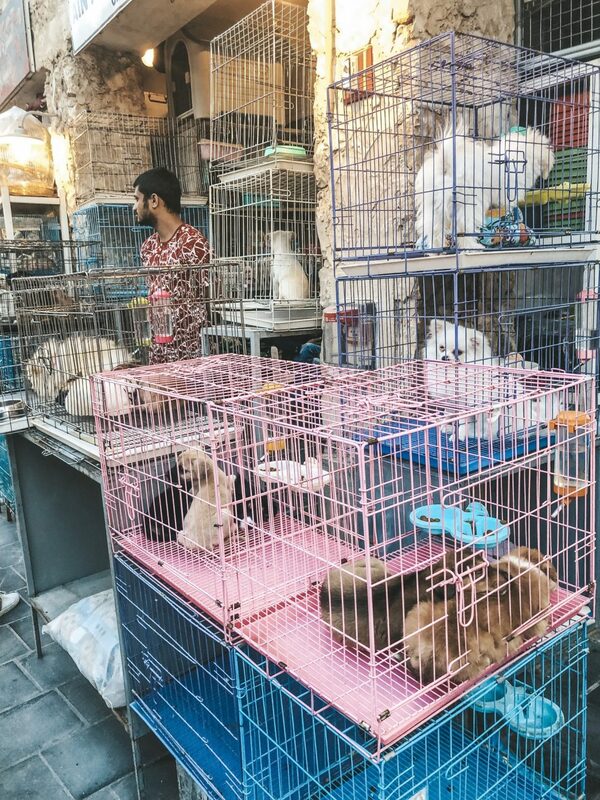 It won’t cost more than 10 rials. 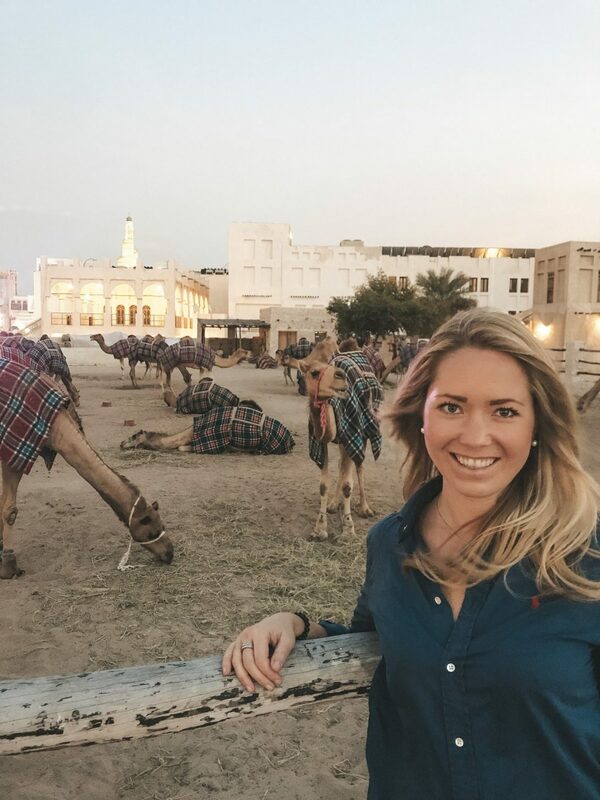 When you are in the Souq Waqif you can walk towards the road opposite the Doha Corniche and walk along the edge of the souk a bit down towards the skyscrapers (opposite the palace) and you’ll find plenty of camels! 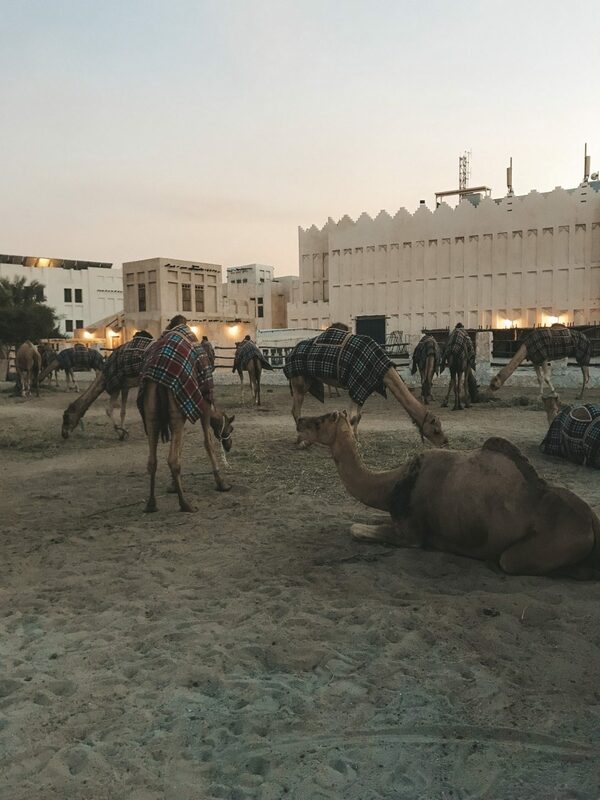 I am fascinated by this animal and really like camels so I would like to see some here when I’m in Doha. 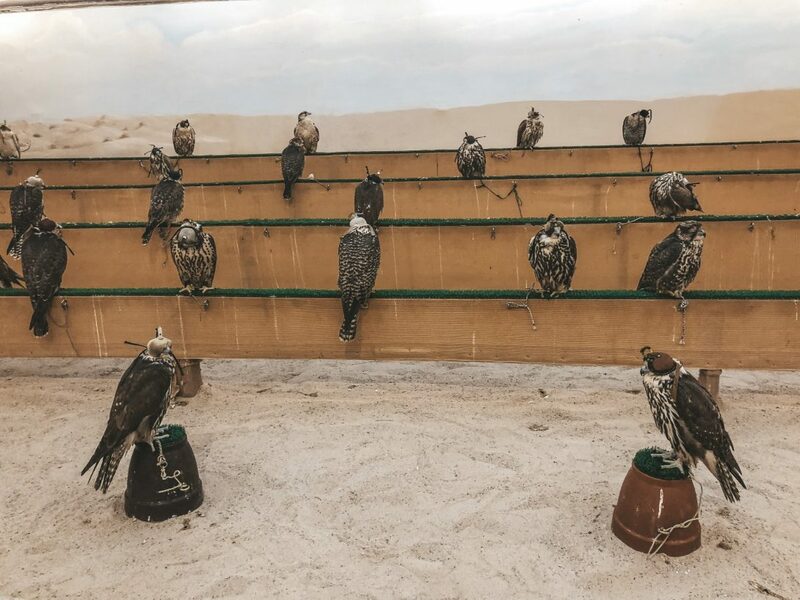 Unfortunately, it is not possible to clap or ride on them here, but if you want to do that then you will have to go to the desert to something called Sealine resort. 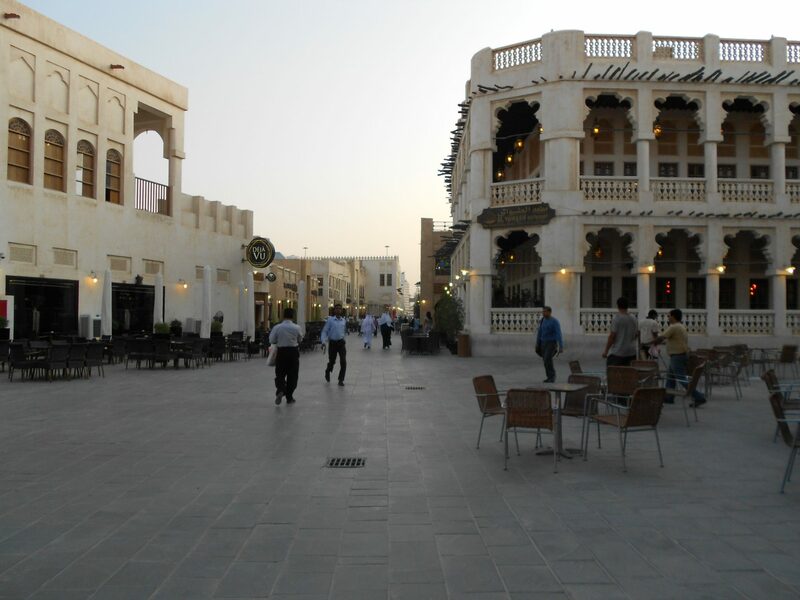 However, it will be a full day activity and something I recommend if you stay several days in Doha. 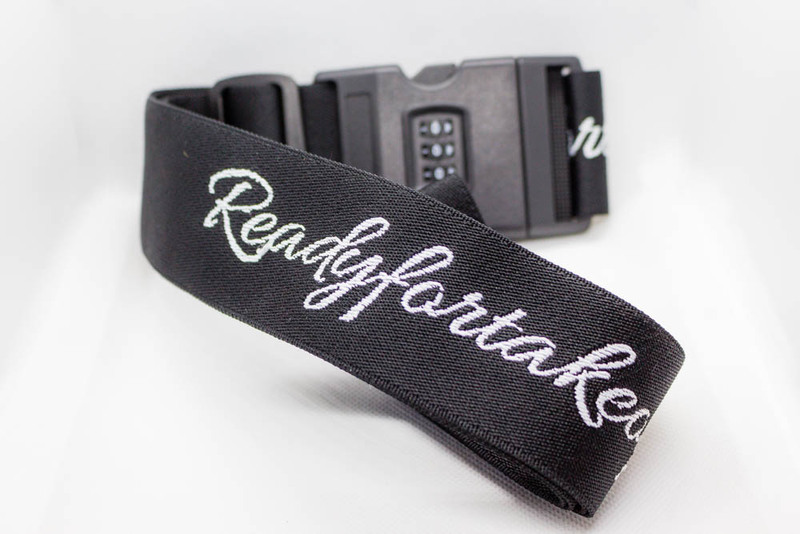 You can find more about it in this post! 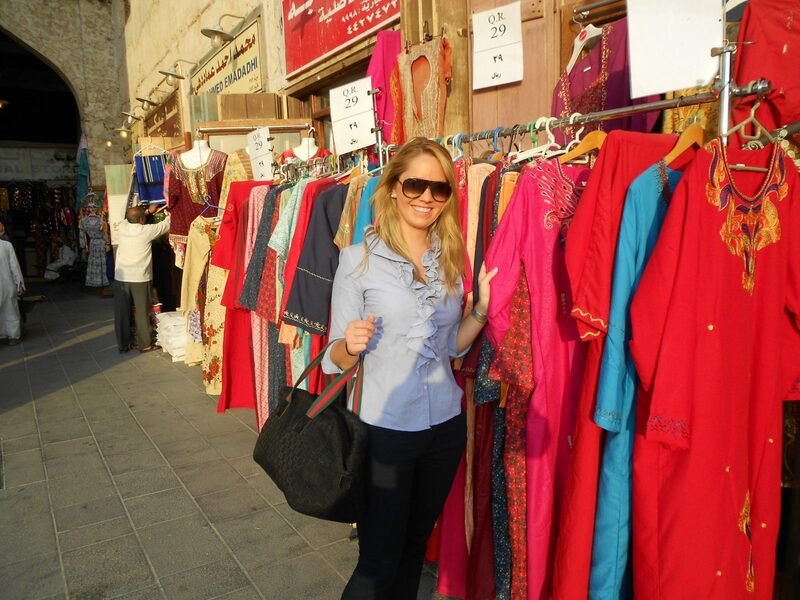 If you have time and interest, there is a gold souk opposite Souq Waqif where they only sell lots of gold. 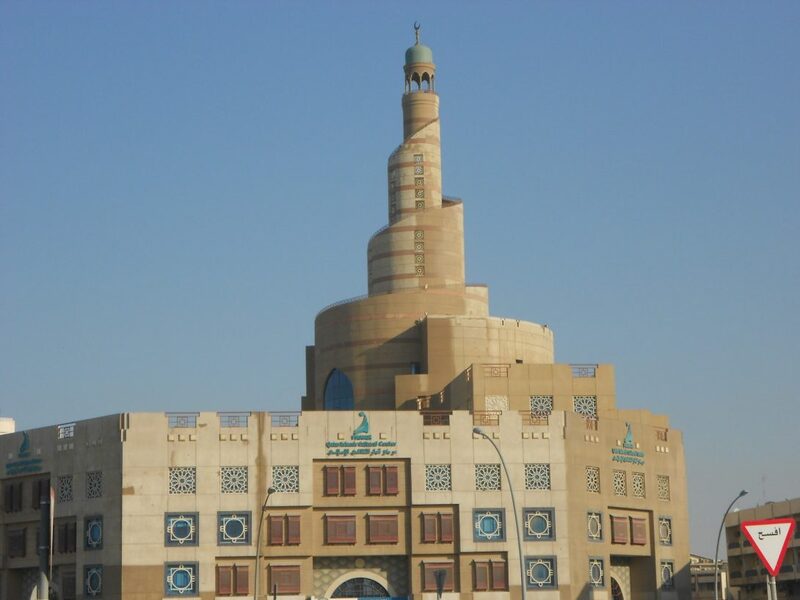 It is located just below the spiral shaped building which is a mosque. 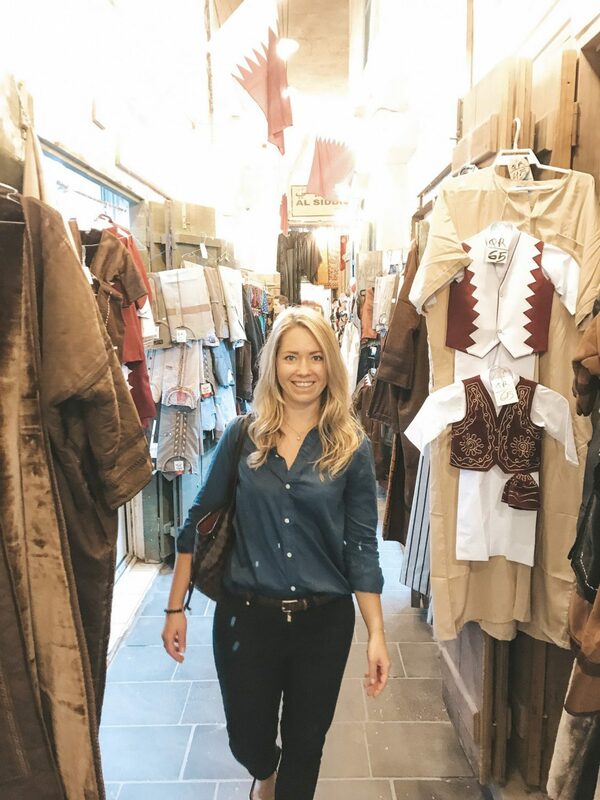 Even if you don’t want to buy anything, it is great to walk around and see how much gold that is collected in one area! 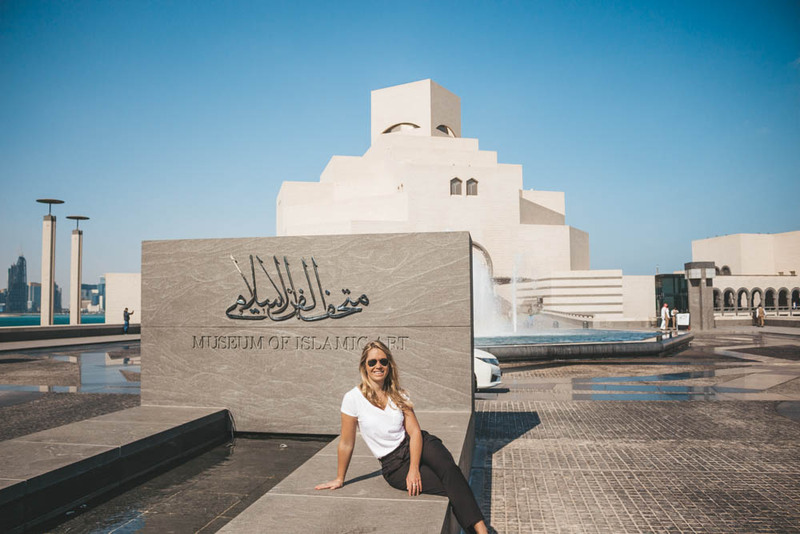 If you want to be really cultural, you should also take the opportunity to go to Doha’s largest mosque called Grand Mosque and not far from Souq Waqif. However, far enough to take a taxi (there are no streets to walk on) but it is also only 10 rials by taxi. There is not much to do here more than to see how the mosque looks like, if you don’t want to go inside of course. 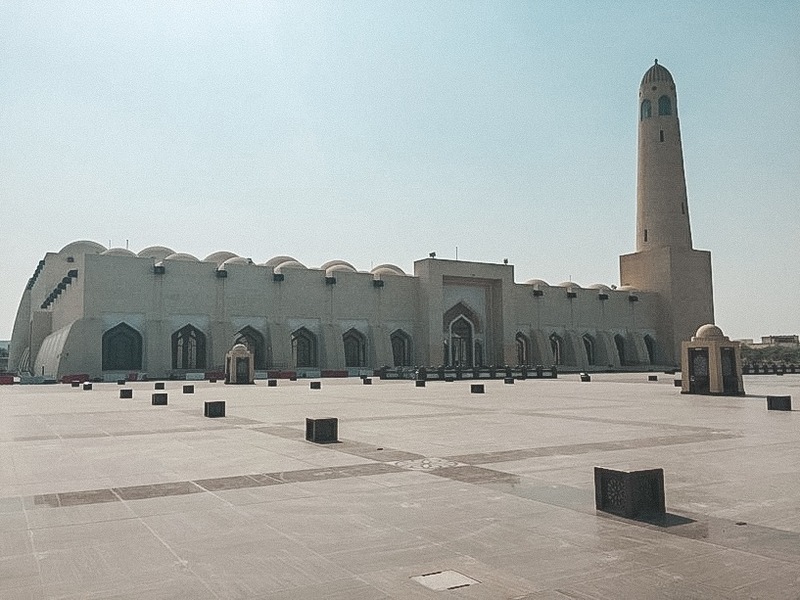 You can get up at the viewpoint which is outside the entrance to the mosque but if you want to enter the mosque there are separate entrances for women and for men. You must be completely covered as a woman and at the reception you can borrow a scarf to cover yourself while you are inside the mosque. This mosque is definitely worth seeing even when the sun has gone down, as it has very special and attractive lighting during night time, which makes it very beautiful to look at! 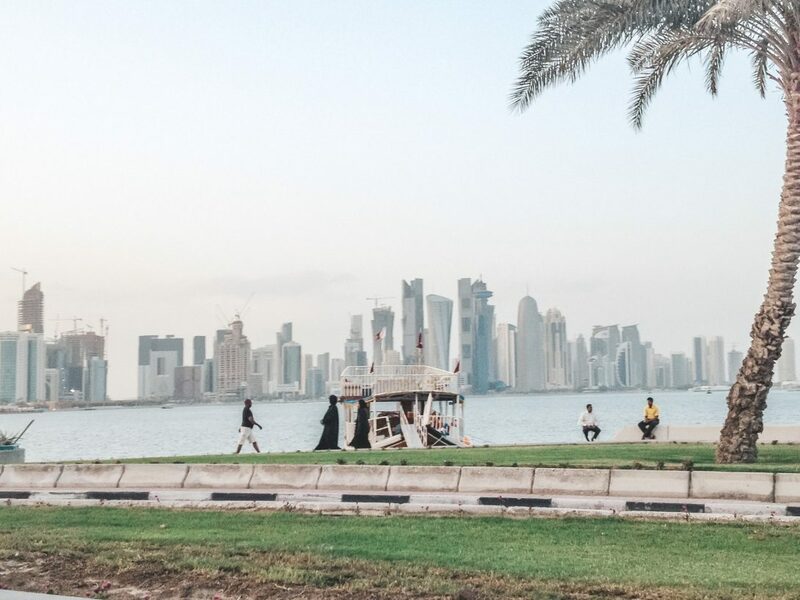 If you have time left and want to discover more of Doha I would recommend taking a taxi and going along Doha Corniche, towards something called Katara Cultural Village. 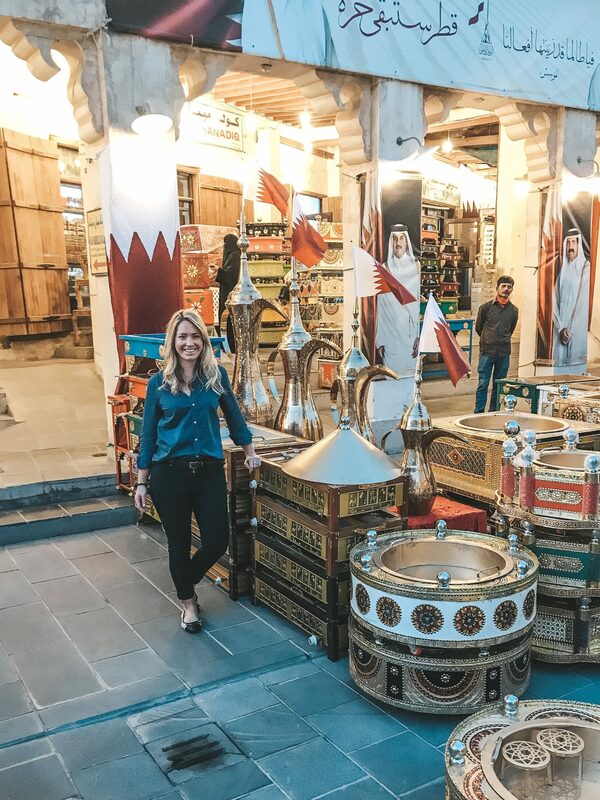 This is a small village in central Doha that offers a mix of cuturel offerings such as an opera house, movie theater, theater, craft souk and several local and international restaurants. You can also find a mosque in Persian style here. 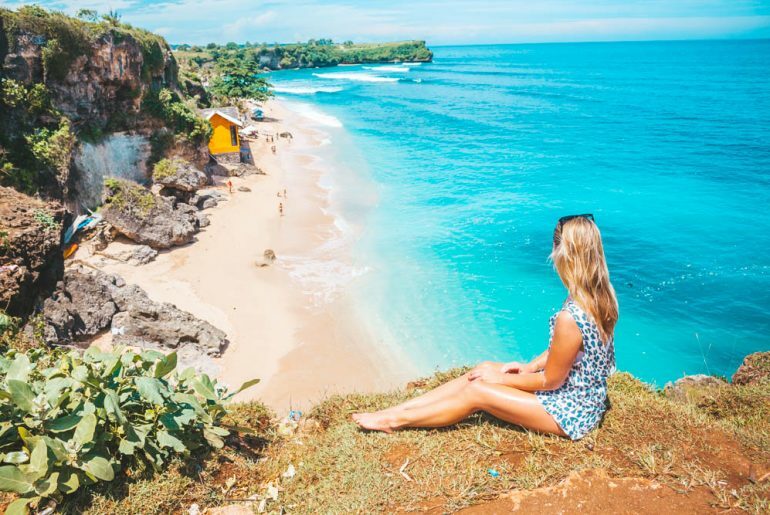 There are lots of parking spaces and also a public beach for those who want to swim, unless otherwise you get a nice sea view from here. 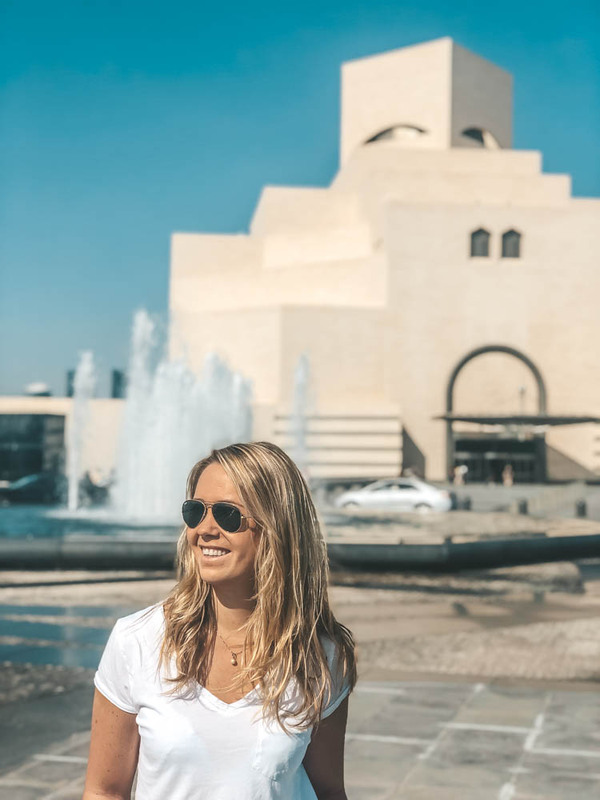 Many think Katara is one of the nicest places in Doha but don’t expect to spend 15 minutes and appreciate it, it takes a little time. 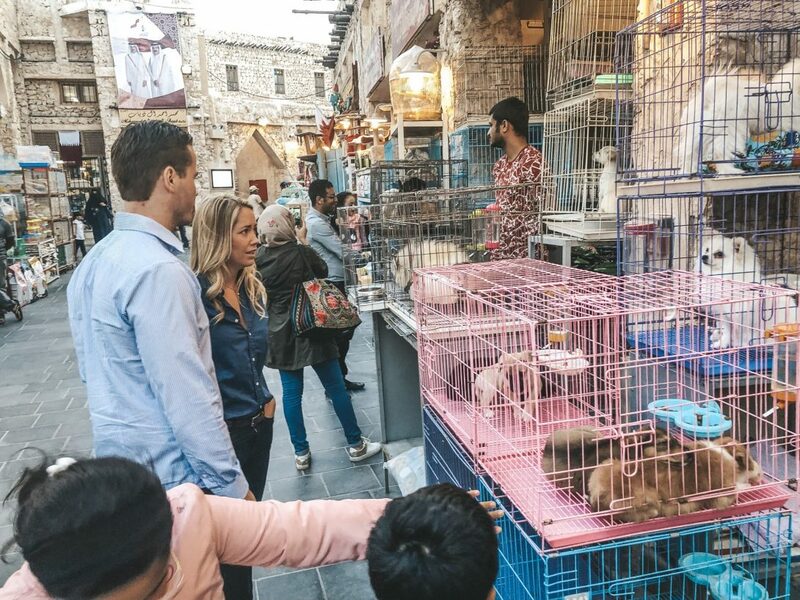 If you haven’t eaten lunch in Souq Waqif you can do it here but expect that the restaurants are a bit more expensive in Katara than on the souk. 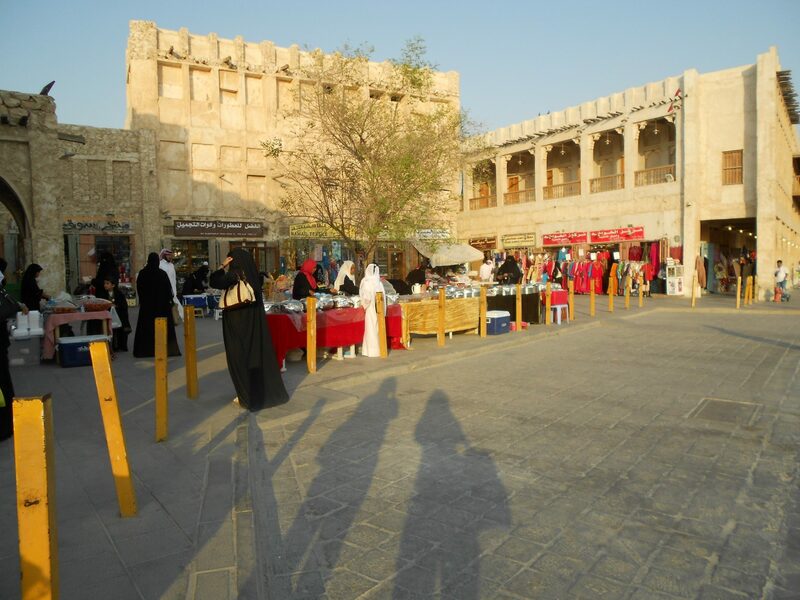 As the name says, there are many cultural activities throughout the year here in Katara. 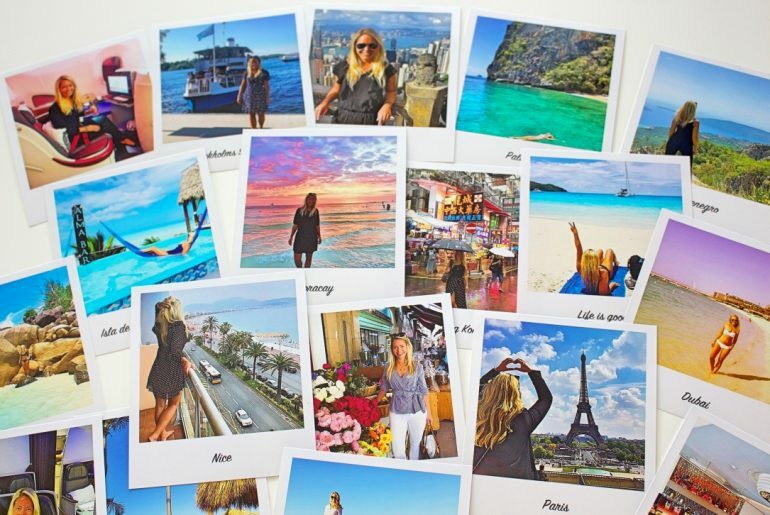 I don’t think you have so much more time left over after all this sightseeing tips I just gave you. Remember, that it will take some time to get back to the airport again due to the traffic can be really difficult at certain times, especially late afternoon when the sun goes down and it’s time for prayer calls! 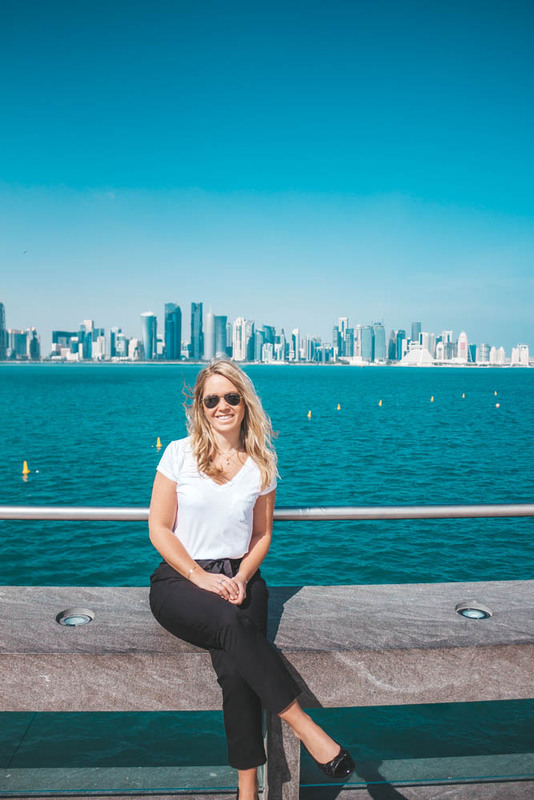 Feel free to contact me if you are staying in Doha and want som more sightseeing tips! Är det gångavstånd till the Pearl från centrum och finns badplats nära centrum för allmänheten? 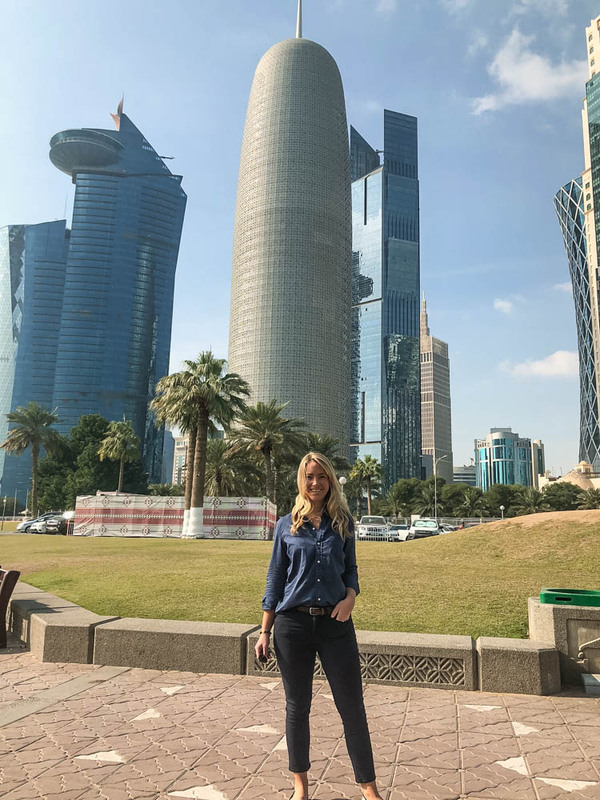 Vad roligt, vad ska du göra i Doha? Hur länge blir du där? Middag beror helt på vart du vill äta, det finns allt från mcdonlds till dyra, fina restauranger men jag skulle säga att mat och dryck är lite dyrare än Sverige, generellt sett. Så det är nog där pengarna går medan taxi är superbilligt att åka överallt. 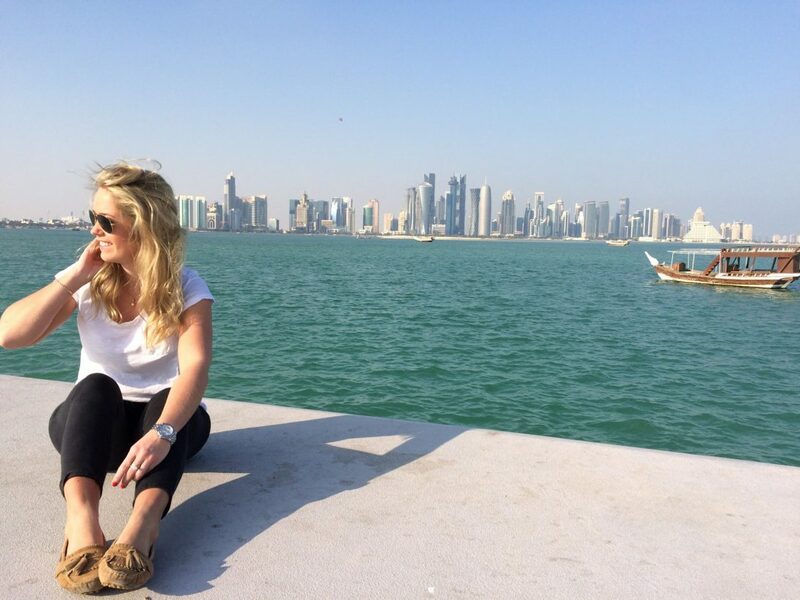 Taxi från flygplatsen till universitet tar ca 30-40 minuter skulle jag tippa på och som jag skrev i inlägget så är det inga gångavstånd någonstans i Doha. Man tar taxi precis överallt, finns inga övergångsställen riktigt, speciellt till/ från Pearl kan du bara komma med bil/taxi. Badplatser med strand finns i anknytning till de flesta hotellen runt westbay area, finns inga allmänna badplatser nära centrum. Perfekt, det blir ju Doha några timmar nästa vecka. Taxi mitt i natten, inga problem? Landar 00:20 nämligen. Nix, inga problem. Taxi finns det gott om överallt. 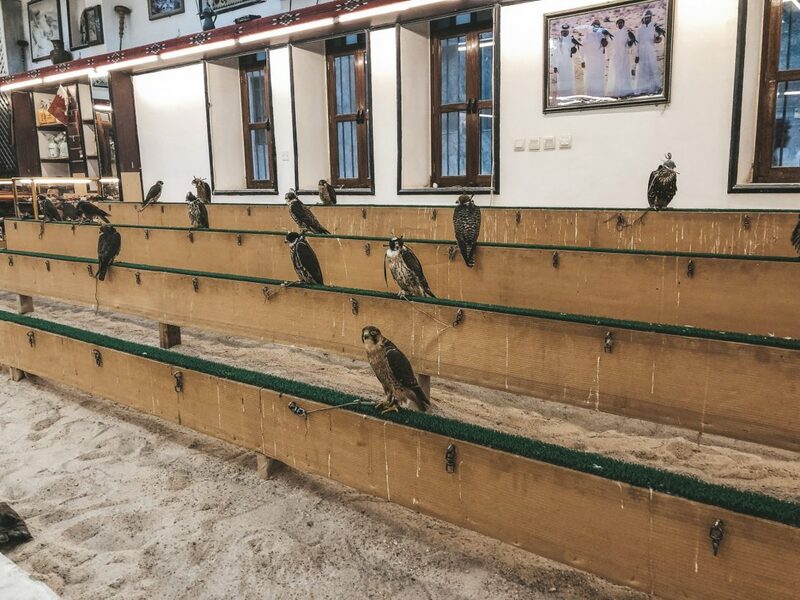 Trevlig resa! Jag förstår. Det går jättebra att åka taxi som ensam tjej, jag har aldrig haft några problem! 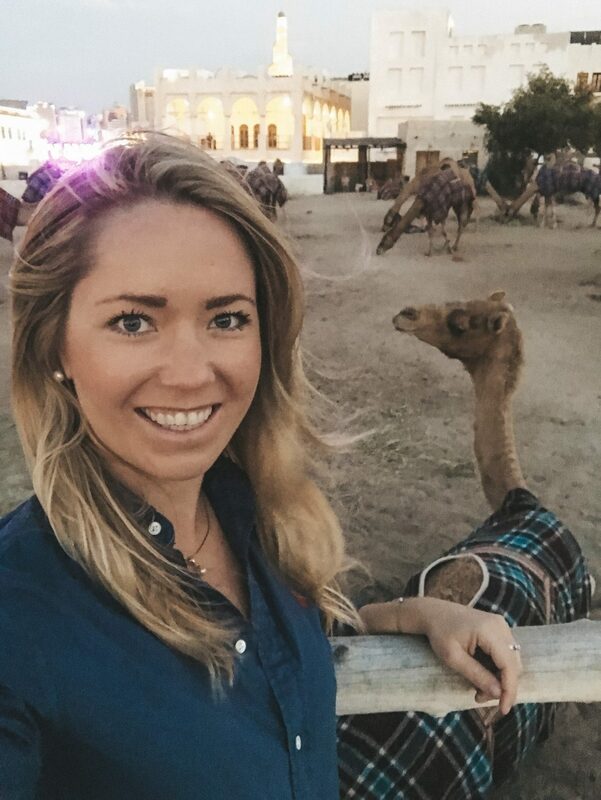 🙂 Alltså, det är inte lika strikt som i Saudiarabien gällande att visa axlar och knän, det har jag gjort många gånger men du får då räkna med en hel del blickar. Det är bra att ha lite cash på sig, speciellt till taxi så växla gärna pengar! Tack snälla du för dina svar !